Meet the new boss, same as the old boss. And a Fiat. 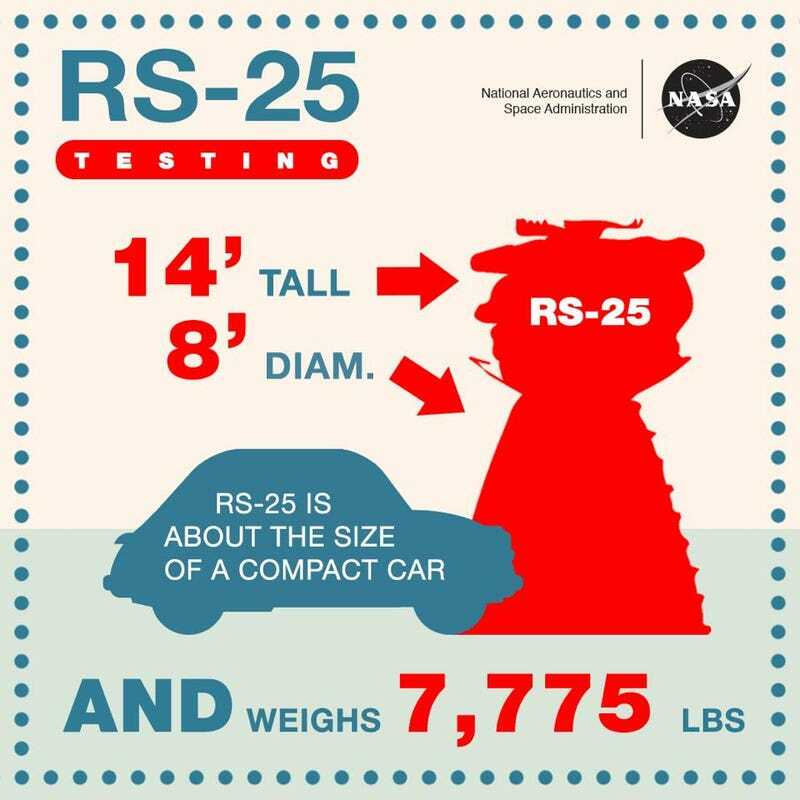 I came across this graphic of the new RS-25 rocket engine as compared to a Fiat 500, excellent choice by NASA or whomever made this infographic, btw. For those that don’t know, the RS-25 will be the engine that the new SLS (Space Launch System) uses to lift new, exciting, heavy payloads into space in the upcoming years. It was originally developed for the Space Shuttle Program where 3 of which powered the Space Shuttle Orbiters into space. Despite some of the short comings of the Shuttle Program, there was definitely some impressive hardware on it. The engine itself is a cryogenic Liquid Hydrogen/Liquid Oxygen staged combustion engine. Staged combustion is where the fuel and oxidizer are pumps driven by a partial combustion of each then the entirety of the fuel and oxidizer is then pumped into the main combustion chamber. This is different from other engines like the Rocketdyne J-2 which uses a gas generator cycle where the partial combustion of the fuel and oxidizer are just exhausted after the turbopump rather than rejoining the bulk of the propellant in the combustion chamber. The RS-25 has a number of other notable features like it’s large ±10.5° gimbaling range, high specific impulse (a measure of efficiency), dual redundant dual-processor engine control computers per engine, and 65%-109% throttling capability. The gimbaling is necessary for keeping the center of thrust through the launch system’s center of mass. With the SRB’s jettisoning and the drain of the main tank, the center of mass on the Space Shuttle moves a considerable amount and keeping the center of thrust focused on the center of mass keeps the shuttle from flipping out of control. The throttling capability allows the Space Shuttle to conserve fuel by dialing back thrust deep in the atmosphere to reduce air drag then increasing thrust to minimize gravity loss. And a Fiat for fun.